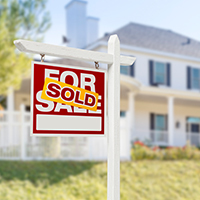 Housing Highlights – A peek at home sales, inventory levels, construction, prices and more. What to Watch: New Home Sales – Shaking off the December decline, sales perk up in January. Home Cleanup and Repairs You Shouldn’t Neglect – Keep your investment in top shape with these DIY home inspections. Q&A: Property Tax Reduction – How to review and appeal your property tax assessment. Existing Home Sales hit a 10-year high in January, with all major regions around the country seeing gains except for the Midwest. However, inventory remains low at just a 3.6 month supply, well below normal inventory levels of six months. Inventory’s disappearing act can be reversed with more construction. The Commerce Department reported that Housing Starts, a measure of new construction, declined 2.6 percent from December to January but were still above expectations. Starts declined in the West and Midwest but increased in the Northeast and South. Overall, starts were up 10.5 percent from January 2016. The S&P/Case-Shiller 20-city Home Price Index saw a 5.6 percent annual gain from December 2015 to December 2016, as low inventory continued to drive up home prices. The index showed that Seattle, Washington; Portland, Oregon; and Denver, Colorado had the largest year-over-year gains. Thankfully, jobless claims continue to hover near lows not seen since the early 1970s, and consumers are more comfortable spending. Retail Sales were up 5.6 percent from January 2016 to 2017. Meanwhile, consumer inflation ticked up in January, with the Consumer Price Index (CPI) coming in at 0.6 percent, much hotter than expected. CPI also rose 2.5 percent for the 12 months ending in January, up from 2.1 percent in December. Core CPI, which excludes volatile food and energy prices, was reported just above expectations. Inflation can lead to higher home loan rates by reducing the value of fixed investments like Mortgage Bonds. For the time being, home loan rates remain in attractive territory and provide great opportunities for homebuyers and homeowners considering a refinance. If you have any questions about housing or refinancing opportunities, please reach me out at any time. New Home Sales were up in January, balancing out a December decline. What is the New Home Sales report? The New Home Sales report shows the number of newly constructed homes with a committed sale during the month. What’s happened recently? The Commerce Department reported New Home Sales in January rose 3.7 percent from December to an annual rate of 555,000. The report also showed that the median sales price of new homes is up 7 percent from a year ago. What’s the bottom line? While January’s increase in sales was a good sign, the figure was below expectations and the increase was on the heels of a 7 percent decline in December. However, sales were up 5.5 percent from January 2016. And inventories were unchanged at a nearly normal 5.7 months’ supply, which will play an important role in sales figures in the months ahead. Fix indoor plumbing leaks. Simply tightening valves to eliminate drips can save you up to 10 percent on your water bill. Repair kitchen and bathroom caulk. Caulk prevents water from getting behind fixtures and tile work and causing structural damage and mold. Stripping and replacing dry, cracking or mildewed caulking is an inexpensive job requiring few tools and materials. Clear clogged rain gutters. Gutters redirect water away from the foundation to prevent it from deteriorating. 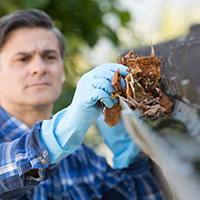 Clogged gutters can allow water to seep under roofing shingles and siding and into interior spaces. Inspect roof tiles and shingles. Check for cracking, curling or missing shingles as well as cracks in the flashing around chimneys, skylights, roof valleys and vent boots. Roofing over 20 years old may need replacing. Check for bugs. Termites leave rotted wood around the sill plate on top of the foundation. Carpenter ants leave piles of sawdust along interior baseboards. Infestations should be treated before they get out of hand. Fill foundation cracks. Hairline cracks and fissures can be filled with epoxy injection systems available at local hardware retailers. Larger concrete cracks or signs of walls bulging and buckling may indicate foundation problems that potentially compromise the structure. Get an opinion from a structural engineer if there are any areas of concern. Sniff out mold. Musty odors and dank air coming from ventilation areas could mean the system is compromised, which will require professional assistance. If you find small outbreaks early (for instance, in damp areas like bathroom ceilings), you can try to clear them with a solution of one cup bleach per gallon of water. Wear an N-95 disposable respirator, goggles and gloves to be safe. These tips can help preserve your house investment and help you avoid big home repair bills down the road! QUESTION: Are my property taxes accurate? Review your property assessment. Note any discrepancies in the description such as number of bedrooms, bathrooms, square footage, amenities, condition and other comments. Get an independent appraiser to evaluate market value of your home. Also find out if there are more valuable homes being charged less in taxes. Contact your county tax office or check their website for specific appeal procedures and forms. Present your case by sharing your findings with the assessor’s office. Neatly organize photos and documents that support your argument.